Hello Everyone! Hope you are all enjoying your summer so far. 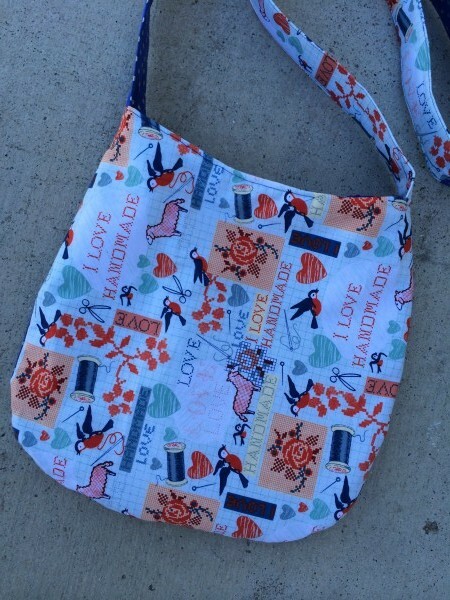 I wanted to reintroduce this Curvy Messenger Bag I did with a free pattern and tutorial two years ago. I don’t think it got the exposure it deserved. 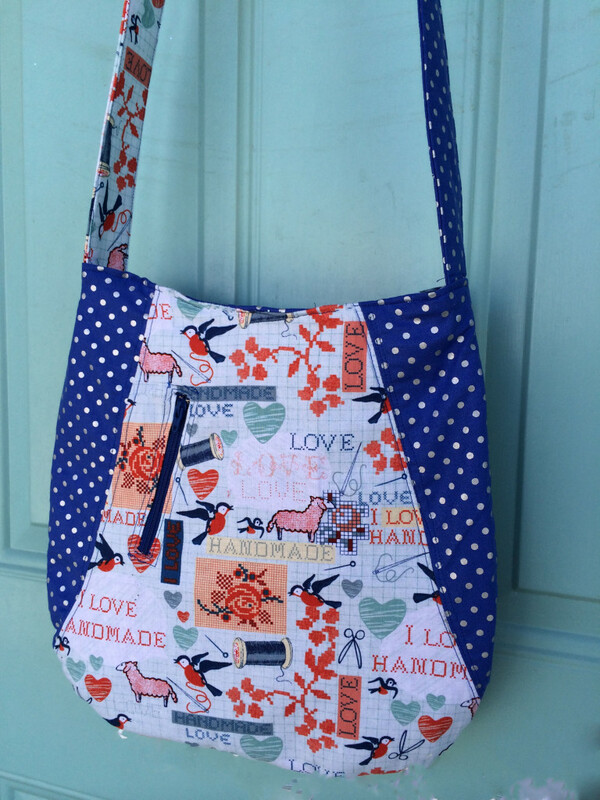 This bag is the prefect opportunity to mix and match your favorite fabrics together. It has a front zipper for your phone or keys and is just the right size to fit all your essentials for your trip downtown. 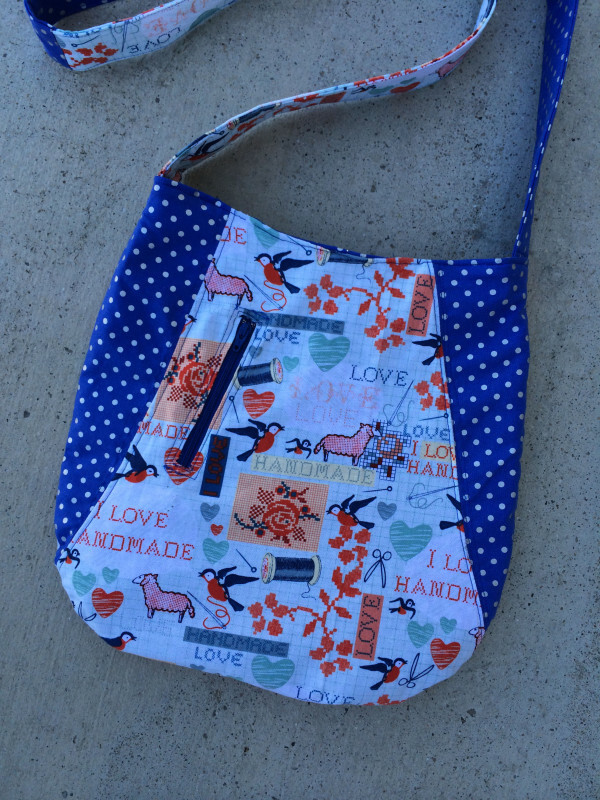 The main fabric I used here is Macrina Busato’s Handmade. I love how the blue and red combo turned out. It makes for the perfect July 4th parade bag. For the straps, I used both fabric patterns for alternating sides. I really loved how this turned out. This fabric is only available on Etsy. I don’t know if they stopped printing it for sale in major outlets. 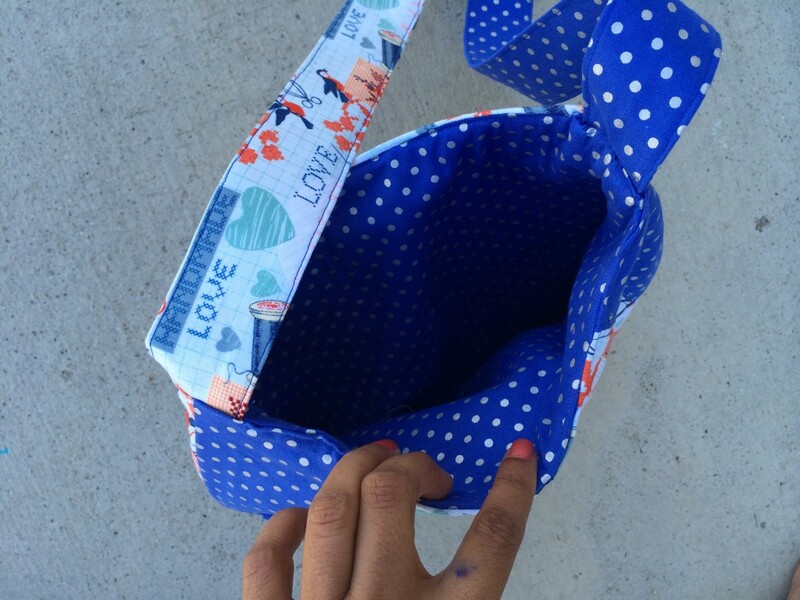 The inside of the bag is lined with the outer secondary fabric. This is fabric is from my local fabric store. I didn’t add any storage compartments in the bag. Well, there you have it! You can check out the full tutorial and FREE pattern HERE.